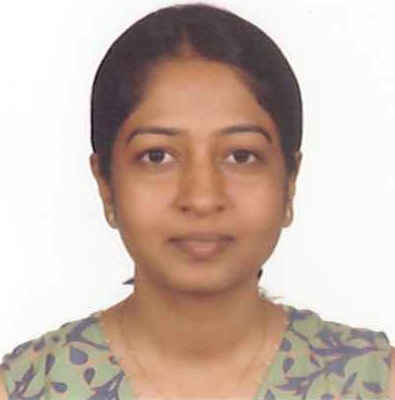 Dr. Divya Patel received her Master’s in Microbiology and Ph.D. in Biochemistry from The Maharaja Sayajirao University of Baroda, Baroda, India. She then moved to USA to pursue postdoctoral research at Sylvester Comprehensive Cancer Center, University of Miami, Miami, FL where her work focused on generating RNA Aptamers against immunotherapeutically important target molecules belonging to the tumor necrosis factor (TNF) receptor super family. Dr. Patel is currently continuing her postdoctoral training at Clark Atlanta University’s Center for Cancer Research and Therapeutic Development (CCRTD) and her research concentrates on exploring the role of members of bHLH family of transcription factors in prostate cancer development and progression. My research focusses on human medicine with the goal of identifying key disease (specifically cancer) mechanisms and targets. With this aim, my current research work concentrates on exploring the role of members of bHLH family of transcription factors, specifically E2A (TCF3) in prostate cancer development and progression. E2A is known to regulate transcription of target genes by homo- or heterodimerization with other bHLH proteins such as MyoD, Mash, NeuroD and Id family of helix loop helix proteins. In general, E2A promotes cell differentiation, acts as a negative regulator of cell proliferation in normal cells and cancer cell lines and is required for normal B-cell development. Given the diverse biological pathways regulated/ influenced by E2A little is known about its expression in prostate cancer. 1. Patel D, Chaudhary J. bHLH transcription factor E2A is differentially regulated in Prostate cancer (In Preparation). 7. Sharma P, Patel D, Chaudhary J (2012) Id1 and Id3 expression is associated with increasing grade of prostate cancer: Id3 preferentially regulates CDKN1B. Cancer Medicine. 1(2): 187-197 Sharma P and Patel D contributed equally to this work.